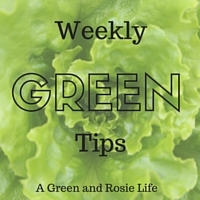 A Green and Rosie Life: Holidays booked via an online travel agent - How much more are you paying? 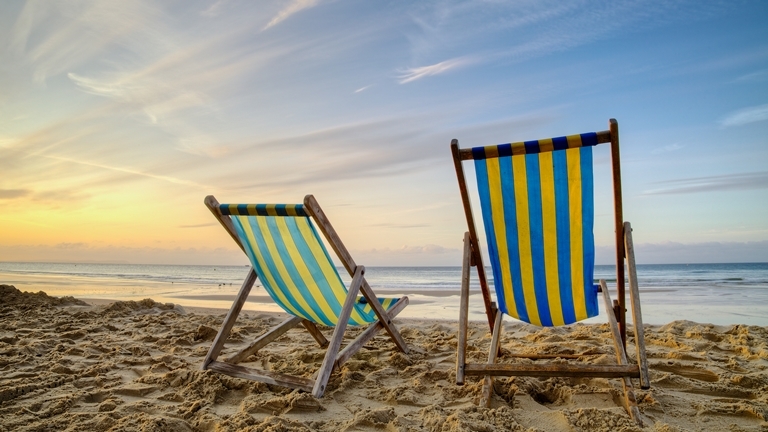 Holidays booked via an online travel agent - How much more are you paying? I am sure you would all agree that booking a holiday can be a touch stressful. You need to find the right place in the right location, providing everything you want for you and your family, with availability when you can go, you also need to arrange to get there and all within your budget. It's quite a big ask. Thank goodness for large online travel agencies that list hundreds of properties, enabling you to find just what you want - so much more convenient than having to head off to the High Street travel agents as we did in the past ... or heaven forbid, trawl through the adverts in the back of a magazine with so little information available. Hopefully you'll be able to sort out all the transport details in that time and I sincerely hope your boss really can agree to the days off you have asked for ... which of course becomes even more complicated when there are more people in the party going. But I digress a little - what I really want to focus on in this post is the cost of booking online with a large booking agency. Have you ever, for one moment, considered how much you are paying for this ease of booking online? Online travel agents need to make money and they are also keen to make as much money as possible for their shareholders so are you, in fact, paying more than you think for this instant booking "convenience"? When the internet first took off owners were able to advertise with online travel agents who simply listed properties leaving you to contact the owner and book direct. 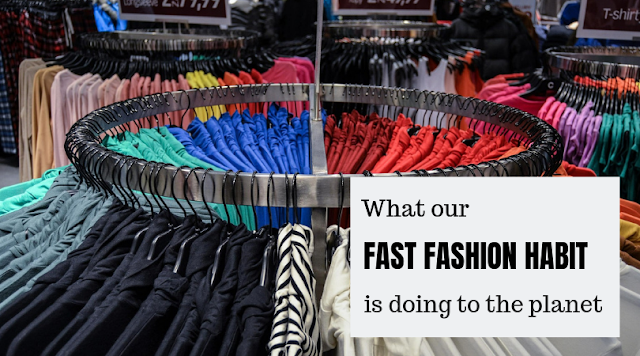 You could have a conversation with the owner, checking everything they offered was what you wanted and pay direct when you were happy with your choice. To advertise, the owner paid an annual subscription to the site and you, the holidaymaker, would only be charged the price the owner wanted for the holiday with no hidden commission or booking/service fees. So for a property charged at £1000 for a week, Airbnb will take £30 from the owner and will charge the holidaymaker up to an additional £150 for the week. There is no owner subscription option available on Airbnb so owners and holidaymakers will always be charged. There have even be cases reported where a 20% fee was levied to the holidaymaker. Here you could be paying an extra £170 for that £1000 holiday. On HolidayLettings owners can also advertise on a subscription basis where you should pay no extras but is is not always clear which owners are which. You might think that you will not be charged extra using booking. com but think again. Owners may not be happy losing up to 18% of each holiday booked and many will add this on top of the price that they would normally charge if you booked direct. Now you could be paying an extra £180 for your week. There is no subscription option and all holidays booked are charged a commission. OUCH - here you could be charged a whopping £210 extra when booking through Housetrip. Guest - 4-10% service fee if booked online via the company. Owner - 8%. Again, the owner may pass some or all of this 8% charge onto the holidaymaker. UPDATE - The website Owners Direct has now been removed with all listings moved to Homeaway. Anyone searching for it will now find themselves on HomeAway. There is also an additional problem for owners using the online booking systems via these travel agents. Not all the companies they advertise with allow them to price their holidays accurately so they may not be able to pass on low occupancy discounts, reductions for longer stays etc. Also, as nightly rates often vary depending on how long a holidaymaker wants to stay, the price quoted may not always be the best price as owners struggle to correctly quote with limited pricing structures available to them. Six nights in a cottage or gite will generally be less per night than two nights per night but the owner may not be able to show this on instant booking sites. Going on holiday is an expensive business and no-one wants to pay more than is absolutely necessary. 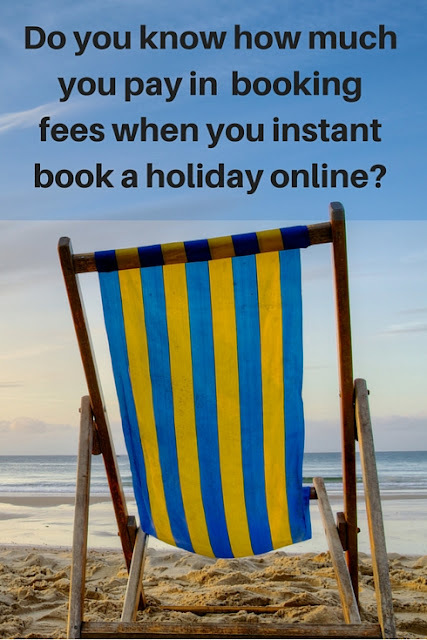 I think everyone would agree that hidden fees are the worst so if you want to make sure you are not paying more than you should then consider booking direct with the holiday home owner and not through instant booking on a large online travel agency. By all means look on the sites but if you find something you like and it is only available with instant booking then use the power of Google to track down the owner's own website and book direct. To do this look carefully through the listing as they may mention their name or location or see if any photos have the name of the property on them. You might have to be a bit of a detective but you could save yourself a small fortune by booking direct. Owners are now also clawing back some of the internet from the online booking companies and there are Facebook groups where members can find cottages/gites to book direct. Why not come and join the one I am an admin on - Book Your Holiday Direct with the Owner. Oh and our website? No need to be a detective! Just visit Eco-Gites of Lenault. What do you think about instant booking fees? Are you happy or would you rather pay a lesser amount or book direct? Do let me know in a comment. Good points about the cost of on-line booking. Instant Booking also has a further consequence. Companies who offer Instant Booking charge the traveller's credit card at the time of booking. The holiday home owner does not get paid until after the guest has checked in to the property. Sometimes due to transfer of funds this means that money is not received until the holiday is over. This may be seen as added protection for the guest, however for the holiday home owner their cash flow is impacted. All the 'little extras' provided in holiday homes have to be paid for in advance, so the holiday home owner must find the funds to supply. Very true Susan and thank you for adding this point. A really interesting post Rosie. We've just booked a holiday in the Yorkshire Dales and were informed the cost included a £30 charge - I've no idea what the owner was charged. I did try looking for the cottage independently but couldn't find it. I guess the upside of owners using an agency is that people are more likely to find their cottage via search engines; the first 3 or 4 pages returned in a Google search all seem to be agencies rather than independent owners. My friend has a house in central Brittany but took it off various sites due to the fees and she doesn't really get many bookings nowadays. This is so true - the owner is pretty much forced to advertise on at least one of the main online sites thus incurring additional costs for both them and the holidaymaker. There are smaller sites who don't charge - www.the holidaylet.com for example only charges owners an annul fee to advertise but they do not appear high in searches either. The worst of it all, Rosie, is the way that the 'guest booking fee' is charged by stealth on many sites. Take Holiday Lettings: the guest is provided with a quote for their holiday that doesn't show a breakdown between the amount of the rental and the booking fee. This site doesn't clearly display the fact that holidaymakers will pay a fee - it's buried in the Terms and Conditions, but not many people will bother to read those to the end, and even then it gives no indication of what percentage the guest will pay. I find it shocking that people can be charged a fee without knowing it and therefore without having the choice to book elsewhere! The moral of this very worrying tale is that eventually the big online sites will have less choice of properties as responsible and ethical owners will desert them. (As I have!). It is the sneakiness that really gets to me too - at least on Airbnb it is clear what the owner and the holidaymaker pay. Ironically I am just about to put an advert on HolidayLettings, not because I like their site, not at all, but because having left Owners Direct after getting almost no enquiries I need to be on at least one large site for visibility. I just hope holidaymakers become more savvy and start to look for properties direct. I was always quite happy to pay an annual subscription to Owners Direct and before they morphed into a HomeAway clone I got a high percentage of my bookings through them ... but these all but disappeared in the last year not making it viable for me to pay out another year's subscription. Sadly as corporations grow they become more greedy at the expense of independent owners like us and yourself. Thank you and it is nice to know some people do research and try to book direct. However because so many people don't, the online travel agents are able to up their fees and many people will continue to pay them, often without even realising how much this is costing them. Everything is geared towards the Holiday makers now and not the owners which as an owner is getting more and more frustrating. When I started out (only 6 years ago, not a generation)annual fees where reasonable with the big OTAs and then you just got on and di yur own thing, creating a ttruly personal service. Nowadays pretty much all OTAs are owned by the big 3 (TripAdvisor, Expedia & Airbnb) and everyone and his dog rents out a spare room (the Airbnb effect) and those of us offering a genuine decent small holiday rental suffer from big corporation greed and poor standards and management with an increasing percentage of people hoping to make a quick buck by renting out awful places. Actually I am not so sure that everything now is geared towards the holidaymaker although I know for sure it is not geared towards the owner. I think it is all to try and make as much money for the company and their shareholders otherwise why else would the HomeAway family be in the process of adding service fees as they call them to holidaymakers when they book through their sites? But I do agree that there are some truly awful places that people are renting out, that standards are dropping in some places and all prices are rising as decent owners find themselves having their already slim profit margins cut even further with ever increasing fees and the only way they can hope to make a small profit is by passing some or all of these price increases on to the holidaymaker. Thank you Sara - the irony is that most owners were happy to pay an annual subscription to the big companies in exchange for a good number of bookings but now things are changing so much and we are paying out more for a poorer service. Owners Direct have hiked up their prices over the last couple of years yet before we left we saw the views to our advert fall by nearly 80% and enquiries all but dry up ... yet in all likelihood Owners Direct will soon be charging holidaymakers a fee for booking through them as well as increasing charges to owners. And this is the same with all the big companies. So please do use the power of the search engine to try and find owners directly. You'll be helping to keep small family run businesses afloat, not lining the pockets of SEOs and shareholders. I think that is a really good way of looking at it and I often promote the fact that is is better for the local economy (and your pocket) to book direct with small independent holiday home owners. It was another owner who did all the research (there's a ink to his advert at the bottom of the article) and it took a lot for him to find the figures as the online travel agents keep them very hidden. Thanks for joining our FB group and I hope you get to book some great holidays through it - direct with the owner! We often go to Northumberland and I've noticed the same property on several different websites with varying prices. I guess it is all to do with commission and fees. The last place we did book was a campsite and we were able to book directly with them. It is partly to do with booking fees/commission and partly to do with how the website makes the owner set their rates. For example some insist on nightly rates yet hardly any owners simply divide their weekly rate by 7 to get a nightly rate. They may use a sliding scale with one night costing more pro rat that 6 or they may set slightly higher weekend rates so they have to jiggle their figures to come up with something that sort of works for them on each different site. It is always cheapest to book direct with the owner via their own website.